I have been extremely lax about writing here; I had planned to do a big, New Year post to sum up what we’d done and where we were going, but I constantly found myself staring at a blank page and trying out different combinations of words that just didn’t feel right. The truth is, I was struggling to find anything positive to say. 2015 was my first full year with Marty. At the end of it, with our two year anniversary lurking in April, I was disappointed to find that we weren’t anywhere near where I thought we’d be by now. With a few notable exceptions, our time together has mostly involved swinging from bad to good to bad again. I have reached the point where a good day no longer feels like a good day, because I know that a week later – two weeks, a month – it will be like he’s never been handled before and we’ll have to start all over again from square one. This is extremely wearying. Marty tries to tempt Cash over to the dark side. Having met other mules and thrown myself into learning about them since getting Marty, I honestly believe that he is challenging even by mule standards and that he has some deep, underlying issue which I have not been able to get at. There are quite a few odd things about him that don’t quite add up. He is such a sweet, friendly guy who never reacts with aggression – even when he’s sure his life is in danger – and when we get things good, they’re really good; this is what’s kept me doggedly holding on for as long as I have. At the end of 5 weeks, I will have a better understanding of where to go from there and can make my final decision then. If Marty is not going to be the mule for me, then I can at least equip him with as many life skills as possible in order to help him find a better home. Life skill #1: suspiciously approaching prone photographers. The other part of my plan is to make sure we eliminate any possible physical problems before Marty goes for training. 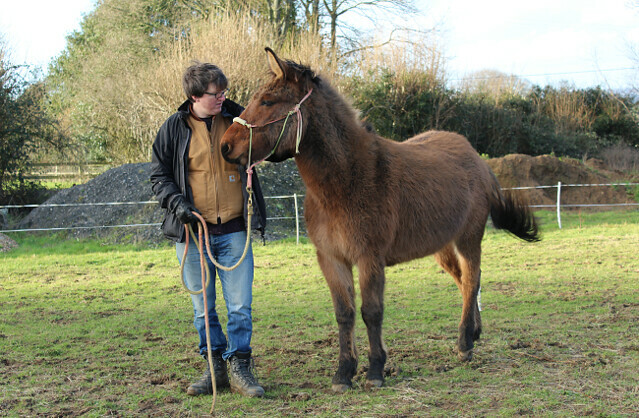 I do have to own this as a failure in my duty of care to him: as Ben and I discussed the other day, had Marty been a horse we would have had every inch of him checked long ago, but as we knew that mules were challenging to work with we naively believed his behaviour was most likely a result of that. That may still be the case, but it will do no harm to rule anything else out. For example, he is definitely worse in wet or changeable weather; last winter was particularly bad and, thanks to the Facebook Memories application, I can see that we were having the exact same issues this year on nearly the exact same day last year (whereas these issues either got better or vanished completely between spring and autumn). I would be interested to see if a bute trial makes any difference, in case it is pain-related (the headache theory I mentioned a while back) or if it’s just that he hates winter! During a recent session with Ben (I know the halter isn’t set correctly, that was the issue he wouldn’t allow us to change!). It was a little bit of a lightbulb moment for me and I wanted to share the quote in the hopes that it may help someone else, too. That is, after all, what my blog is about – making people feel better because as least they’re not as rubbish as me! Ha! (But seriously: I write what I would have liked to read when I first started out on my journey with Marty. Sometimes it’s nice to know that not everyone is enjoying a perfect, mystical relationship with their mule while you struggle day after day, working insanely hard and yet never seeming to get anywhere. I certainly don’t wish hardship on anyone, but it is always good to know that you’re not alone!). So indulge me for a moment as I celebrate the small things. How do I quantify success? the fact that I can control his speed and even ask him to stop just by altering my own energy – this still feels like magic to me, as I had no idea it was possible for us mere mortals until Ben taught me! All that and he’s cute (although should have been paying attention to Ben here, not me!). Always a pleasure never a chore, Xato. An interesting read! I had the exact same problem with my pony (Ben met him). He was just like that – we’d take two steps forward them three backwards. I sent him for re-training to another friend who actually knew what she was doing rather than muddling along as I had been, but at the end of that and with my health deteriorating we realised he was always going to be far too sharp and unpredictable for me so he was sold to a more suitable home. Hopefully Marty will come good for you and you’ll come to an understanding but if not, don’t feel guilty about moving on. I’m sure part of the trouble I had with Staro was my frustration that he wasn’t right for me and I suspect he could feel that underlying in our interactions however much I tried to control it in myself. I’ve met many other horses since then that I get along with far, far better. 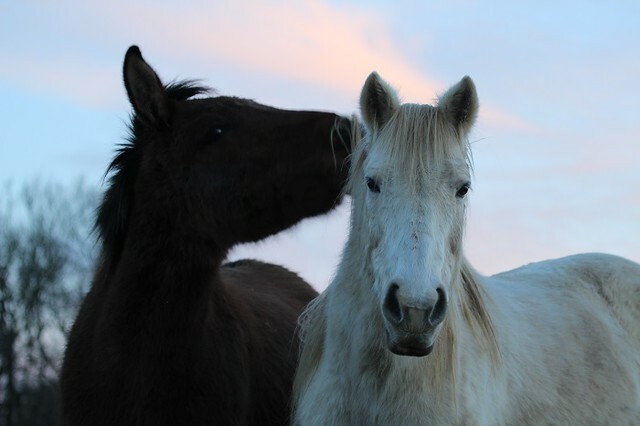 Equines are smart creatures with strong personalities and just as with people, sometimes we clash. I hope in your case that some training will help you two to find a good place so you can go on to have adventures together. The idea that an animal may not be suitable for us is a really sad realisation to have, but I think it is also a very brave decision to make. We all want that Black Beauty style relationship and it can be hard to let go of the dream! I’m sorry to hear that you came to that place with Staro, but it sounds like you made absoloutly the right choice. Thank you for your good thoughts, I really hope we have many more (fun!) adventures to come, too. I’m so glad when you write honestly about Marty. Every mule book in US are telling that mules are the greatest animals in the world and at the same time they have lots of mules “for adoption”, there must have something “wrong” in them, they all can not be kind and easy to ride.. Your blog has already bee great help for me (mule is coming maybe in 2 weeks) to what to expect. And I think those little things (like picking up his hooves) are great steps and make everyday life easy. And they are most important things with any equine! It is nice to see Martys improvement in May, I have thought too that Marty has to be different than other mules. Do you keep horses and Marty in pasture all year long? They are not stabled even during the winter? 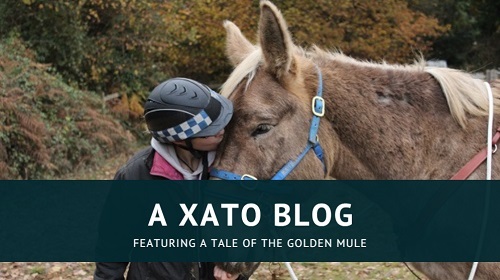 I think having the little things in place – basic, foundational stuff like a mule who will pick up its feet without snatching or who will lead without being strong – are more important than a lot of people realise. Having these building blocks makes life so much easier. Yes, our three live out year round. 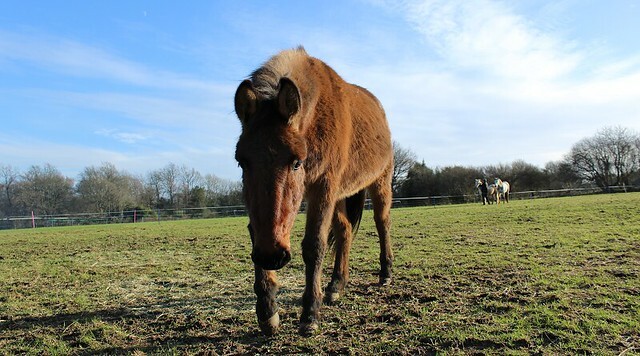 Marty has never actually been in a stable overnight – in fact I’m not sure he’d been in a stable at all when I got him! He wasn’t keen on it at all and, as he’s exceptionally good at jumping, I’ve no doubt that he’d jump out if I left him. I have been bringing him in and slowly increasing the time he spends stabled, however, and he is improving. Our southern winter is probably a lot milder than a Finnish one! 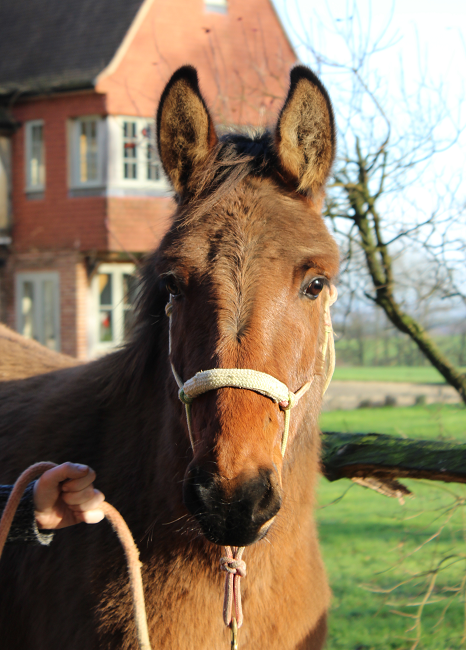 By the way, I’m ridiculously excited about your mule – I can’t wait to hear all about her! They are incredible animals (and incredibly frustrating animals, sometimes :P) and I’m so glad you’re finally getting one of your own. Yes, we keep horses in Finland stabled at nights. Usually they can be kept 4 months 247 outside when its warm. And lots of people has run in sheds (?) Where they keep equines all year long so they can choose where to be. Usually they are more like box stadles without boxes than just sheds in the paddock. i have mule blog too but it is only in Finnish. There is pics and videos in a couple of posts back. But I promise to write long post about India when she arrives, in English 🙂 she is still in Spain but her journey should start this week. But lets see, i was supposed to get her here a week ago 😀 journey takes 10-12 days. Hi, I still read your blog fairly regularly. I have had our two mules for just over ten years now, and I have often hit that stage you describe so honestly here, and yet I am still hanging on in there. I was instructed once by a well known horse- trainer “don’t let him make you beg”, when I was encouraging one mule to follow in a join up session. I often reflect on that statement. We as sensitive equine owners often self examine so much that we become almost apologetic in our approach to our animals. We need to be leaders for our herd, and although we may often get it wrong, we always do whatever we do with the best of intentions. The hardest part is for us to get over our own mistakes, gather up our self- confidence, and try again. At times when I have thought about finding new homes for our mules, eventually I have come full circle and decided to keep them. Where else would they have such a caring owner who is prepared to give them so much time? I bet Marty would ask the same question. 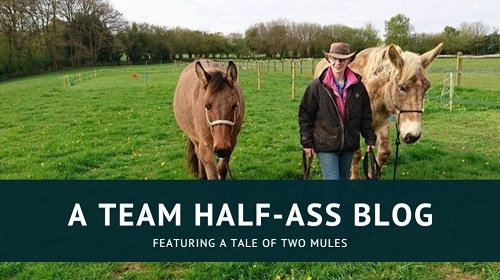 Thank you – it’s actually very comforting to know that even a long-term mule owner has hit the same wall. I certainly worry about him finding someone who’ll work as hard as I have to figure him out, but maybe that’s arrogant of me; he has an equal chance of finding someone who could get through to him in ways that I have not, after all. I don’t know what our future holds but I would dearly like it to work out for us, if it can. Thank you for your support!